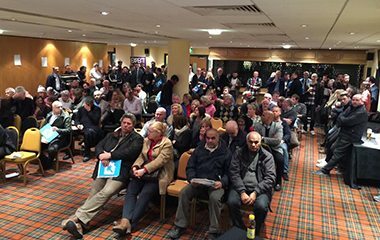 Here are some top tips and advice to securing a potentially below-market property acquisition at auction. 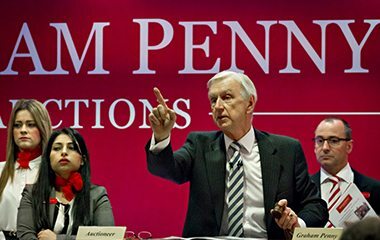 Auctions are a great way to acquire property competitively, with a wide range of bargains often going under the hammer. But as any savvy investor will know, there is more to buying property than simply turning up and making a bid: for the full rundown, check out The comprehensive guide to buying a property at auction. Among the many attractions of buying property at auction is that purchasers avoid the conventional drawn out process of property buying, as the property is sold in a matter of minutes as soon as the hammer falls. But before attending and bidding on property at auction, prospective purchasers must conduct all necessary due diligence. Have you carefully read the conditions printed in the catalogue? Have you made financial arrangements to ensure you have a 10% deposit ready for payment on auction day, when the contracts are signed and access to the remaining 90% within 28 days? It is highly advisable that those thinking of buying property at auction for the first time sit in on at least one sale before taking the plunge. Contact the relevant auction house and request their catalogue, conduct all necessary property viewings, get a survey done pre-auction if possible, and hire a lawyer to review all legal documents. Register with property auctioneers and keep in close contact with them so that you are aware of what properties are coming onto the market. Browse through auction catalogues, which are usually published three weeks before the property auction, and provide the dates and times for property viewings. Contact the auctioneer as soon as possible for further information and any special conditions of sale on each property. Like any property purchase, thorough research and independent legal advice are essential before bidding on a lot. Always ensure that you view the property, arrange for a survey and appoint a solicitor. Obtain the legal pack as early as possible from the auctioneer for each property that you are interested in, and get it checked by an independent lawyer, who can act quickly on your behalf. Don’t bid on a property if you have any reservations at all. It may initially appear to be a bargain but then again…! Set a budget and stick to it. Don’t get carried away by the auction house frenzy when bidding for a property and end up exceeding your maximum limit. Final sale prices can often go over the guide prices, which are often pitched low to entice bids. Remember to take account of additional costs, like fees for professional advice and stamp duty. To gain an idea of what a property is truly worth, check out this free property valuation tool. Familiarise yourself with prices for property types in your chosen location, by checking out previously sold houses prices. Get a second opinion on the property. It might be necessary to arrange a structural survey or get the view of a reputable builder. This service will cost you, but could save you money in the long term. Have the appropriate financial arrangements in place by using a mortgage broker who is au-fait with the auction process and do not simply walk into a local high street for a mortgage. The sound of the auction hammer falling and the prospect of obtaining a property at a bargain basement price can offer a real thrill and a great sense of achievement. However, the reality is that once the hammer has fallen there is no backing out of the deal. If your bid is successful you will have to pay a 10% deposit to the auctioneer on the day of the auction. You will then be expected to pay the remaining 90 per cent of the property price and complete your purchase within 21 to 28 days. Failure to do so could culminate in the loss of your 10 per cent deposit. Avoid a potential needless journey by phoning the auctioneer before setting off to the sale so as to ensure that your target property has not been sold or withdrawn prior to auction. Around one-third of all homes listed in a catalogue are sold prior to the auction. On signing the purchase contract at the auction house, you will also be responsible for arranging property insurance. If a property remains unsold, speak to the property auctioneer to register your interest – lots of deals are struck by private treaty at a price agreed with the vendor.